We received the Compass Rose 2011 edition and they are really great! There are 8 different versions, of which we are offering 5 RE and 1 LE edition. The LE version is really special as it has its own icon. Many of you probably know that we are designing and developing Geocoins. We do this for events, but also for different occasions. You can see here a selection of Geocoins we have produced. Do you have an idea yourself or a wish to produce one, please contact us and maybe we can find a way that you don't have to pay anything to get your design produced. Next to that we also develop pins, patches, soft PVC items, keycords, wristbands, etc. Do you have interest in such a product, just contact us and we can inform you about the options. It is also 1st of January, the start of the Gemeenterace 2012 for which we produced the Geocoin. Do you still don't have one or can we make you happy with a very special edition, then watch you email inbox, as next week there will be a contest where you can win an artist editions! The 2011 Compass Rose Geocoin® is about the critical importance of the sun and navigation. We have 6 versions: Midnight Sun, Daybreak, Eclipse, Dawn to Dusk, Twilight anfd the LE versie: High Noon. You can find these and other coins at our website in New geocoins. The Hamsters Are Here!!! As everyone knows, the Groundspeak servers are powered by our friendly hamsters and now you can have your own traveling pet. 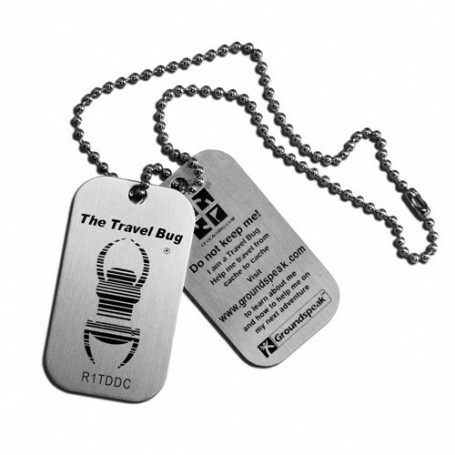 Each tag measures 30mm and they are available in a variety of colors ( Blue, Green, Yellow or Orange). We have also added som new Christmas Geocoins in the category: Christmas. For the new model of Garmin: Montana we have now a number of protective carrying cases. We also have a new beltclip suitable for the new eTrex, Oregon, Dakota and Colorado. Here, you can find the Garmin accesoiries.